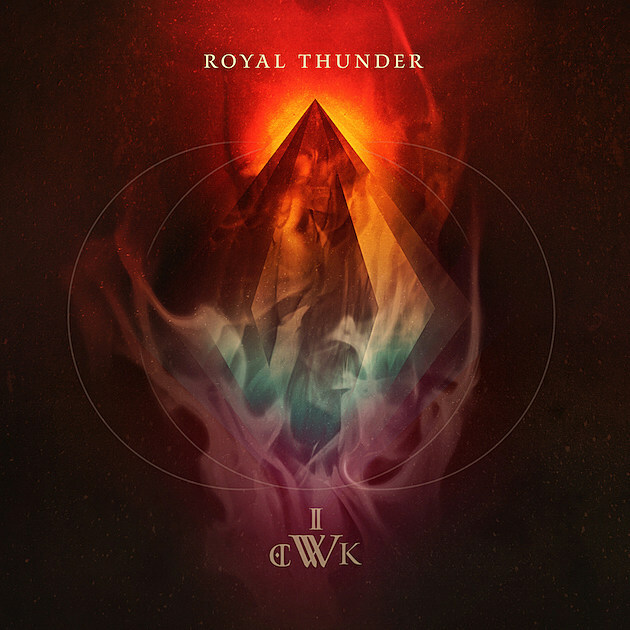 Royal Thunder have rapidly reached a point in their careers where every new release feels like a monumental achievement. With every album that they put out you can get a sense of advanced grace, another step in the burning quest to find humanity that so many find in this bands music. Their latest release, the 12 track Wick is a record that we can't help but to love, it's a record that captures the imagination and one that burns forward with the sort of psychedelic magic and passionate perpetual motion that defines only the best records. I think that the bands formidable skills have come to a head on this record. Not only are the individual performances on Wick generally on point but the songwriting has come to a new high. While the band has certainly advanced their structures I think what really gets me about this record is the way that the album takes you full circle. There is a sort of sonic journey that you take every time you listen to Wick and it leaves you in awe of all that the guys have created. You get lost in the push and pull, the gentle motion of the music and the utter beauty of the production. This is a band who emphasize soundscapes and who remind us time and time again that we have a right to lose ourselves in this sorrowful noise. The constant advancement of Wick is magical. This is an album that utterly entrances you and helps you to remember why the 'vest metal' movement started in the first place. Royal Thunder place an emphasis on the power of the song here and their willingness to keep on trucking and expanding is truly commendable. They have tapped into something that pushes far beyond what many others bands of their ilk are doing or have done and instead have driven us to a place where we can find a proper way forward for a genre that, for lack of bands like these, would stagnate.